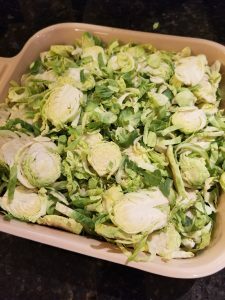 Brussels sprouts are finally in season and we just couldn’t wait to get to cooking them. Our traditional/go-to way of cooking brussels sprouts is usually with bacon. 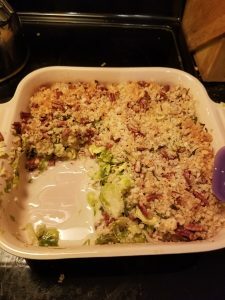 However we decided to broaden our horizons and trust Food52 with their recipe “Brussels Sprouts Gratin”. The sweetness from the maple syrup perfectly balances with the bitterness of the sprouts and the tang of the mustard. Preheat oven to 350º F with a rack in the middle or lower middle position. 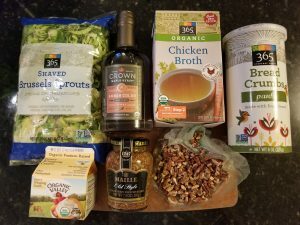 We purchased brussels sprouts already shredded to skip step 2. Whisk together remaining brussels sprouts ingredients in a medium bowl. 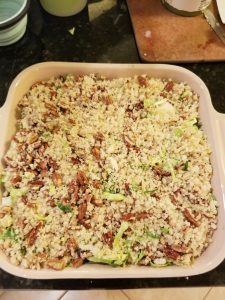 Stir in the shredded brussels sprouts, then transfer mixture to a gratin or shallow baking pan (a 1-quart gratin or an 8-inch square baking pan). Spread in an even layer. 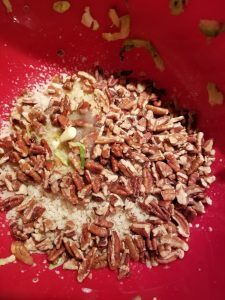 Combine the gratin topping ingredients in a medium bowl. 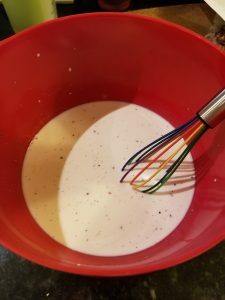 Toss until the crumbs are well-coated and the mixture is homogeneous. 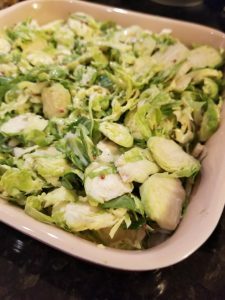 Sprinkle in an even layer over brussels sprouts. Bake until the topping is golden brown in the center and dark golden brown around the edges, about 35 minutes. [Editors’ note: Our gratin took about 50 minutes to uniformly brown.] Rotate the pan after 20 minutes to promote even browning. Serve immediately. Recipe credit to Food52: https://food52.com/recipes/19804-brussels-sprouts-gratin. Also featured image is their photo from their recipe.